a luminous environment with great glass walls and transparent circulation allowing for openness to the outside. Conceived for the benefit of all and to establish an attractive scientific environment, ICM’s architecture favours networking and dialogue among the participants. 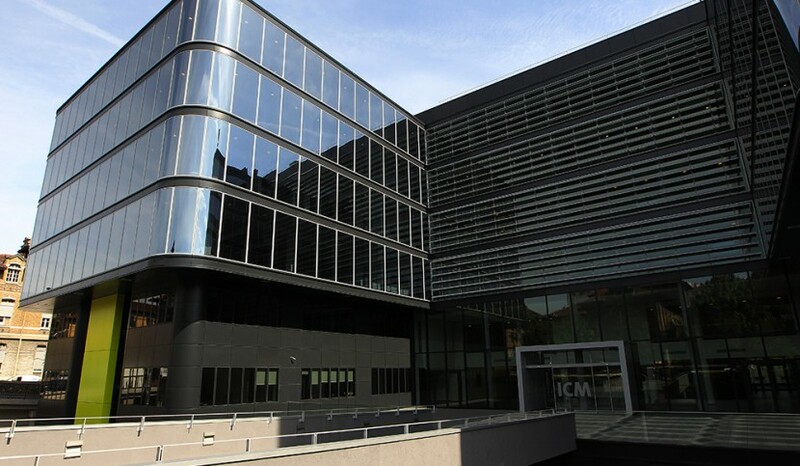 The ICM building optimizes the use of the available space. 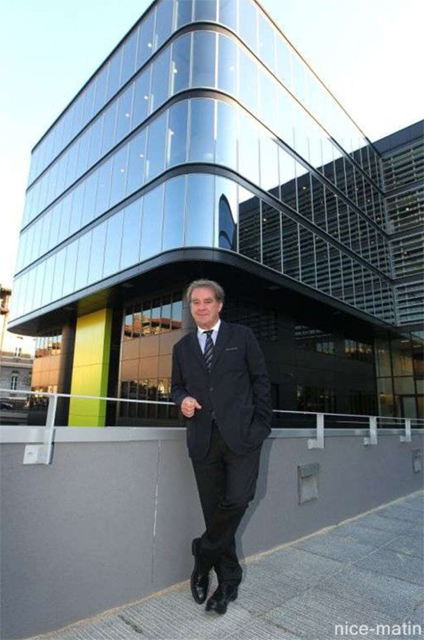 The “beam-column” structure chosen for the entire building also allows for great flexibility for the laboratories and technological platforms, as this is necessary for an evolving high-level research. The flexible arrangements, multiple combinations enabled by the module dimension will allow the ICM to adapt to the research of the future. As the scientific approach of the ICM is particularly innovative, its architectural design also had to be. 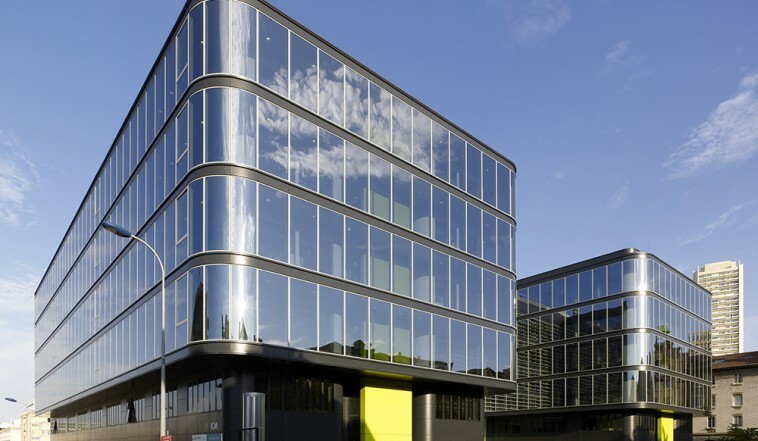 The daily well-being of the researchers is also a central concern: hard points have been minimized in all work spaces in order to create transparency and the greatest possible natural light. 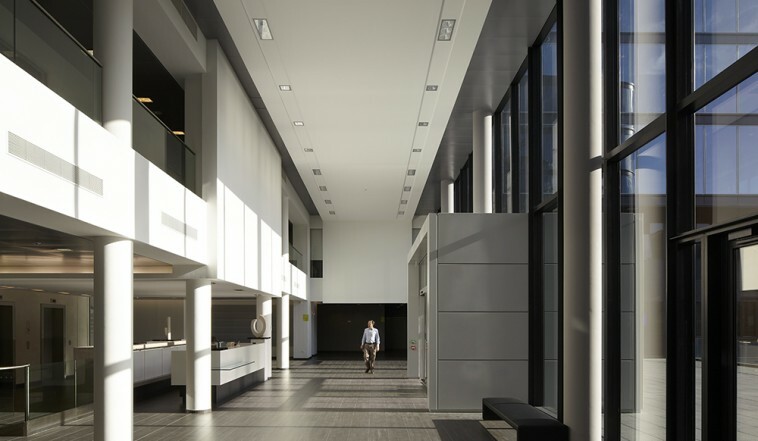 The Brain & Spine Institute which is a private undertaking benefits from a space of 4,400 square meters on the site of the Pitié-Salpêtrière Hospital, granted by the Paris Hospitals (AHP). 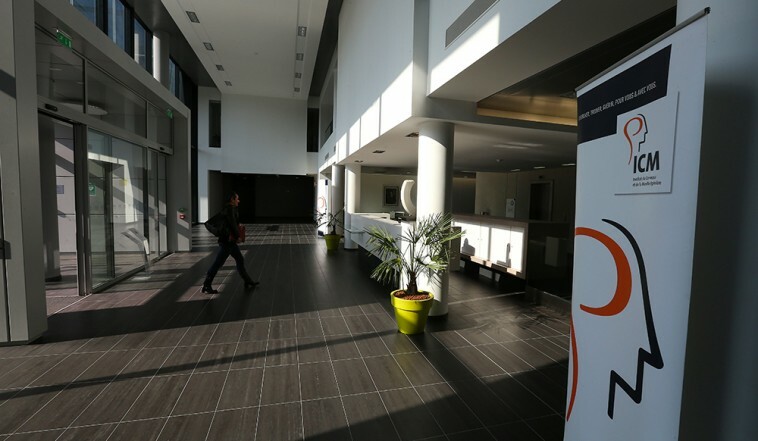 In addition, thanks to funding from the regional authority of Ile-de-France, the city of Paris, INSERM and the Sorbonne Université, and a loan granted by the Caisse des Dépôts, the building was made possible. 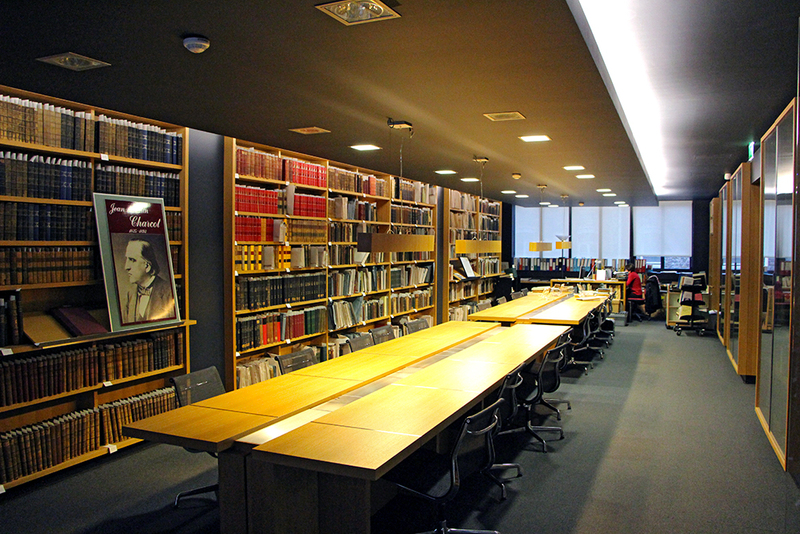 Located in the ICM building, the Charcot Library (Sorbonne Université) hosts the prestigious work library of Jean-Martin Charcot (1825-1893), founder of the French school of neurology. His collection of over 5,000 works stands alongside the library of Neurology Interns from Pitié-Salpêtrière giving an overall perspective on the medical knowledge of the time. If the Iconography of the Salpetriere and other rare works have already been digitized on Jubilothèque library has other untapped resources for the history of medicine, science and even the arts. Open to the public from 2pm to 6pm, it is a place of work, study and research. It is only natural that the ICM should stand in the very birthplace of neurology: at the heart of the Pitié-Salpêtrière University Hospital on Paris’ left bank, where Jean-Martin Charcot founded the first neurology chair at the end of the 19th century and where the first brain surgery was performed. 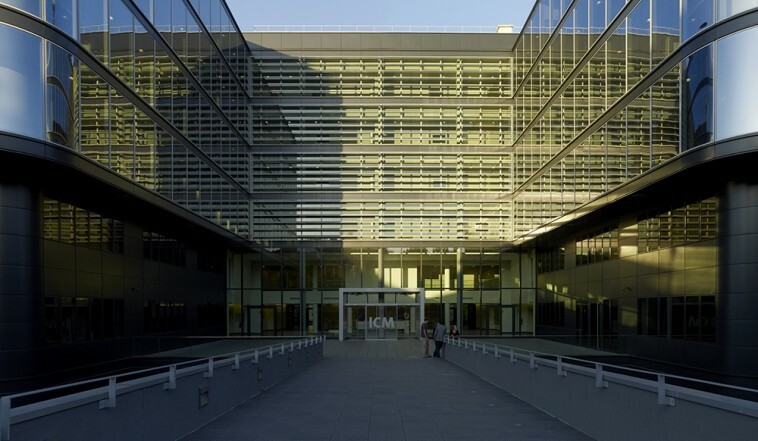 The ICM building sprawls over 4,400 sq. meters on the campus of the Pitié-Salpêtrière University Hospital, just opposite the hospital’s center for nervous system disorders, which houses child, adolescent and adult psychiatry, neurosurgery, neuroradiology, neurological physical therapy, neuropsychology, neuropathology, neurogenetics and injuries, and the Institute of Myology. Every year, nearly 100,000 patients with a nervous system disorder are examined here. The ICM is surrounded by the other major clinical facilities available at the hospital and its extensive technical medical infrastructure: a pharmacy, biology and radiology laboratories, and more. 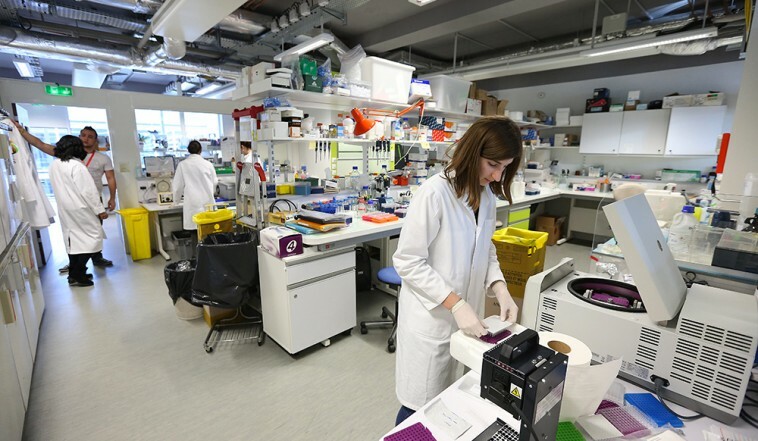 Researchers have access to rare biological resources such as DNA and tissue banks. Its location makes it possible for the ICM to seamlessly bridge the gap between pure and clinical research. 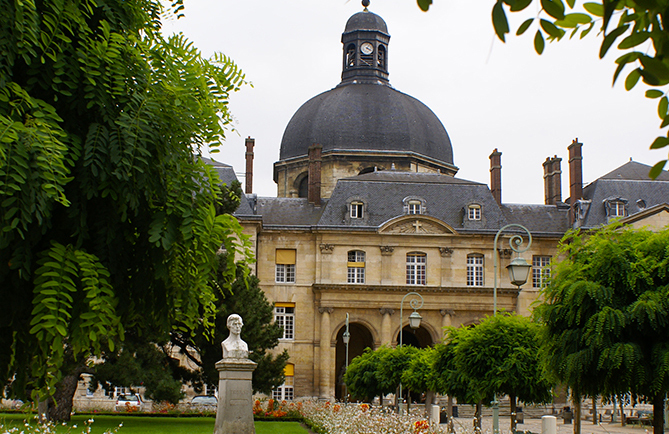 The ICM is also an integral part of Sorbonne Université, France’s leading university in medical and scientific teaching and research. The Institute creates about thirty post-doctoral positions each year, playing an important part in maintaining the dialogue between research and education. A specific feature of the ICM is the transversal approach to research. The building has therefore been conceived to make it easier for the teams to work together, whatever their disciplines are. “We placed the laboratories around a central hub, traffic takes place in the peripheral gangways so as to make people meet. The researchers will thus meet and exchange views”, explains Jean-Michel Wilmotte, the architect of the ICM. The building is H-shaped for an optimal organisation of space. It has been conceived to enable the researchers to work under the best conditions in common spaces flooded with natural light. The flexible arrangements and multiple combinations offered by the movable cubicle walls chosen for the laboratories will enable the ICM to adapt to the research of the future.